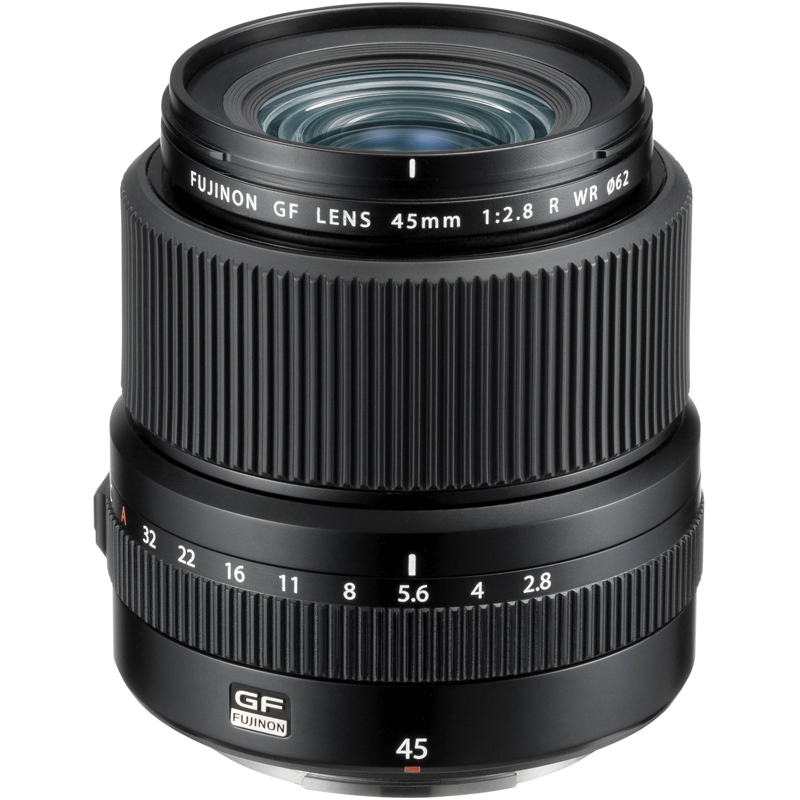 The FUJINON GF45mmF2.8 R WR Lens is a highly versatile wide angle lens with a focal length equivalent to 36mm (on a 35mm format) and maximum F2.8 aperture. Thanks to its compact and lightweight design (weighing only 490g), this lens is ideal for street and documentary photography. With a construction of 8 groups and 11 elements, using one aspherical lens and two ED lenses, the GF45mmF2.8 R WR lens delivers high image quality and reduces aberrations. Thanks to the Nano GI coating, this lens offers clear depiction performance with reduced ghosting and flare. Weather and dust resistant, the lens can also be used in temperatures as low as -10°C. FUJINON "GF Lenses" are high quality lenses featuring rich tone reproduction, unique color reproduction and high resolving power, designed to incorporate Fujifilm's optical technology.